Are you thinking of ways of advertising and promoting your business? Just advertising your business in the newspaper or maybe on the internet is not sufficient. You have to make sure that people actually see your ad and remember your services when the time comes. For this, you have to make a lasting impression on their minds. This can be done with our, Adpro Designs amazing vehicle wrapping services. We provide the best car, bus, truck and van wraps Boston MA services. We also do truck wrap and car wraps. We provide the best van wraps Boston MA services to our clients and that too at really affordable costs. We at Ad Pro specialize in creating the best display graphics which leave a lasting impression on the minds of the people and help expand your business. With our vehicle advertising wraps Boston services, you will be able to stand out from the crowd and promote your business among many people every single day. We provide customized vehicle advertising wraps which help attract the attention of the people on the road every time your vehicle hits the street. As each and every client has different needs, we provide personalized consultation to each and every client so that they can get their return by using our vehicle advertising wraps Boston services. We are the best custom vehicle wraps Boston MA company. We also provide vehicle lettering, logo designing, and corporate signage services. Unlike other companies which promise something and deliver something else, we always keep true to our work. Our business is not only about providing the vehicle wraps graphics Boston services, but it is also about helping you make your business successful by promoting it amazingly. We at Adpro provide a lot of options and products available in a variety of ranges for our clients. 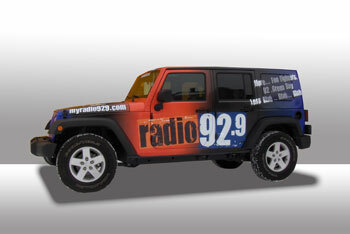 We provide full wraps that cover the entire vehicle and showcase an amazing and impact message to anyone who sees it. We also provide the option of spot or partial wrap graphics to customers who just want to cover a specific portion of their vehicle. We have been in this industry for a long time and thus have mastered in providing amazing car wraps, bus wraps, or fleet wraps Boston MA services. We at AdPro offer such vehicle wraps that match the theme of your business and also help to attract attention of the people. Our amazing professionals create amazing vehicle wraps graphics and we also provide consultation services to all our clients so that we can learn their goals and requirements. Our van wrap services are very popular. The van wraps prices offered by us are also totally affordable. So if you want your business to reach new heights of success, get in touch with us as we at Adpro Designs Inc. provide the very best vehicle wrap services at best van wraps prices that help promote and flourish your business immensely. With our affordable vehicle wrap cost and our amazing services, your business will surely prosper.